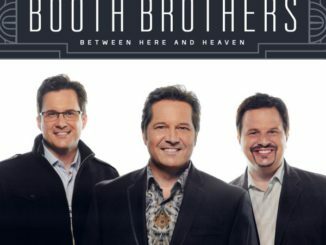 Staff writer Andrew Stephens got to sit down with the Booth Brothers’ Ronnie Booth for a few minutes to talk about the group’s new live recording and upcoming studio release on Spring Hill Records! Andrew Stephens: First, for unfamiliar readers, give us a little history on the Booth Brothers. Ronnie Booth:Michael, our dad, Ron, and I started to sing in 1989 at a church I was pastoring in the Tampa, Florida, area. I was the Music Minister for the Brandon Fellowship Baptist Church, and our church had a special guest quartet to sing for the Sunday service. The quartet cancelled at the last minute, and the Pastor had to find something to work out. At the last minute, he asked me if we could work something out. That morning, we sang “Because He Lives” with my dad, Ron, singing tenor, Michael singing lead, and myself singing baritone. 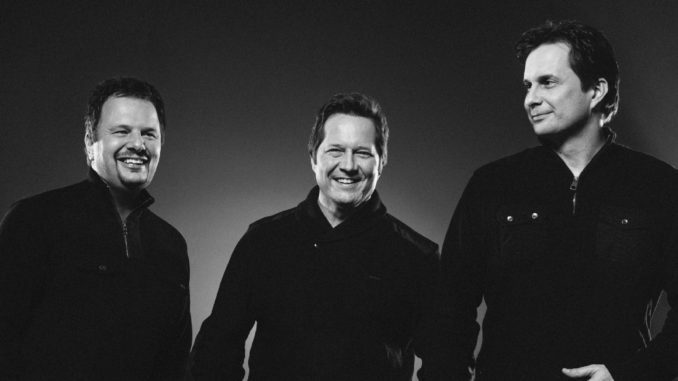 We worked for 6 years, building the group into a full-time ministry until it became too difficult to have both part-time jobs and part-time concert dates. We went into full-time ministry in 1996, and, in fact, we’ll be celebrating 21 years of full-time ministry this September. AS: Now, since both you & Michael are the “actual” Booth Brothers, describe the experience of blending family harmony with an outside member. RB: Very selective. There’s a lot of great singers in the business. Tremendously talented. We have to be quite selective in who can sing/blend well with my brother. Michael & I have the same vocal chemistry, so this makes it more challenging finding the third vocalist. We had 12.5 wonderful years with Jim Brady. Before Jim, we had Joseph Smith for 3 years. When Jim told us to form his own group, he suggested that we hire Paul Lancaster. We always had him in the back of our minds if Jim had plans to move on. Back in Spring 2006, I took some time off the road and called Paul to fill in for me. The group never skipped a beat during this time. I always remembered how well he was received with people, so this was so much easier making the change from Jim to Paul who have similar ranges but different tones. But, it’s been 2.5 years, and our group hasn’t skipped a beat. AS: With your current release, Gospel Favorites, you all went back & recorded many hits in a live concert setting. How would you describe the experience of reliving these hit songs compiled in one setting? RB: People love familiar. Singing these again took me back to the time when we first started. I realized then that we’ve been blessed to be given many great, anointed songs that people identify with and touch the heart of the people. 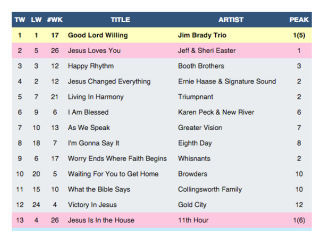 “Because He Lives” was the first song we sang together in Brandon Fellowship Baptist Church, so it was natural to work it into the set list. People were so gracious to us then and now. AS: For a moment, let’s go back to August 2005 when Absolutely Gospel hosted a Booth Brothers CD giveaway each week for the epic album The Blind Man Saw It All. Knowing the instant hit status of that title single, how would you describe the feeling of being on the brink of a classic hit such as this? How does it compare to singing the song for over 11 years? RB: Phil Johnson said, “Let me play one more song for you.” He wasn’t mentioning for us to record the tune. The original demo was Bluegrass style, and we knew we don’t do Bluegrass. Daryl Mosley, the songwriter had planned to single the tune to radio. After a few weeks of relentlessly asking Phil Johnson, we really wanted to sing the song. On the day I recorded the song, I had just left Vanderbilt vocal clinic due to a bronchial infection. AS: Moving forward to 2017, we look at the new studio release, Between Here and Heaven. How do you feel the musical journey has been since the massive success began nearly 12 years back? 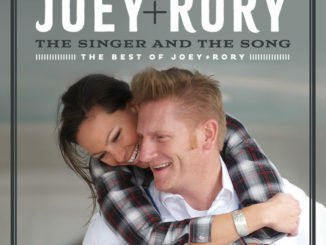 RB: We realized that songs like “Blind Man” and “Look for Me at Jesus’ Feet” you don’t find everyday. We try to find songs that are consistent and touch the heart of the people. We understand what truly ministers to people, and that makes us very selective. For instance, we decided to include a cover of the classic, “It Is No Secret.” We had the arrangement for several years but never felt the right time for it. One thing, we learned to mix the classic with the current. Joseph Habedank has 2 credits including “Between Here and Heaven” and “Stop the Storm.” Joseph teamed with Becky & Sonya Isaacs to write “Stop the Storm.” We’re so blessed because we’ve gotten to know all of these wonderful writers to write for us. If you really want to heart the touch of your listener, it takes a lot of work and time in the Lord. AS: As fans continually honor the Booth Brothers with multiple individual and group awards, what has been the most challenging part related to such affection? RB: Priorities. An audience wasn’t given to us to feed our ego. We were given an audience to serve. We didn’t create ourselves; we are nothing more than stewards. The audience is brought by the Lord. We’ve discovered to continue striving to walk obediently before the Lord and redeeming the time because God has given the audience in our power. Growing up in Tampa, this was a fantasy. I tried to make it in Country Music in the 80s. God honestly had it all in His control. AS: Finally, the climb to the top didn’t happen overnight for the Booth Brothers. For new artists or those just working in between, what advice do you have for endurance? RB: I would first encourage them to remember that God has gifted an audience for a purpose. You have an opportunity to uplift Christ. Find songs that minister to your audience. From a business perspective, they’re customers. If they want apples, don’t sell plums. If you love every member of your audience equally, you’ll be treating them as God would prefer. Entertainment is a tool to be used to minister to people. Everything, although spontaneous in appearance, is actually calculated. This doesn’t mean that everything is so spiritually-based that it bores the audience. Initially, we had to figure out what our strength is – harmony. Mosie Lister told us, “Never show a weakness.” Michael and I don’t try to match other talent that’s better. We discovered a while back that we may not be able to sing the same style as other groups out there. It’s hard work, and there are short cuts. With every opportunity to sing – go sing. It’s a slow start, but it pays in the end. AS: Finally, what is the best way to contact the Booth Brothers? RB: Booth Brothers Facebook or boothbrothers.com. We have our entire catalog for purchase (physical or download). With the way social media has been catching on, we have been doing Facebook Live and plan to do more through the next weeks.